Hello Beauties!! 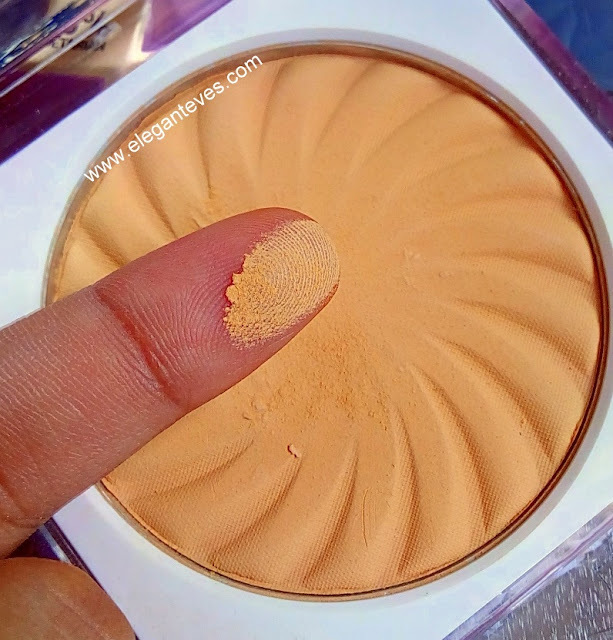 Come summers, even the ones with dry skin like me, need a good compact powder for the sweltering days, just so that we can cover up those “shiny” nose and chin -_- But sadly, in the Indian market, not many brands cater to the varied skin tones we have. 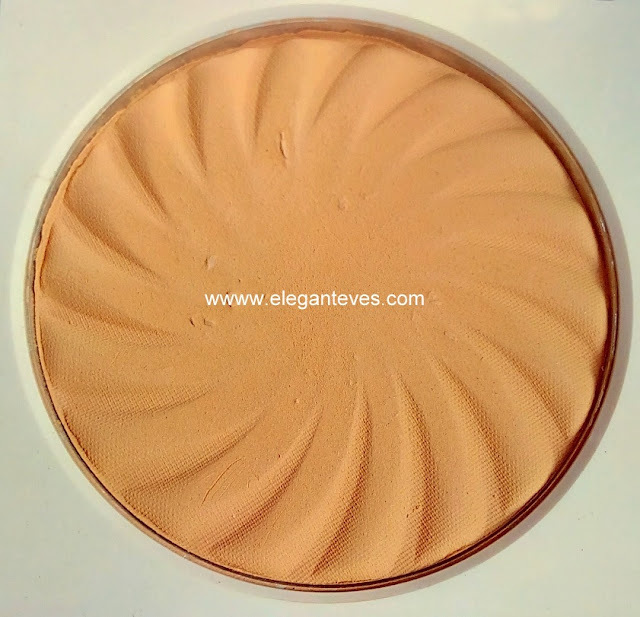 There are usually two or three shades in each brand here out of which rarely there would be yellow toned powders which would suit our warm complexions. 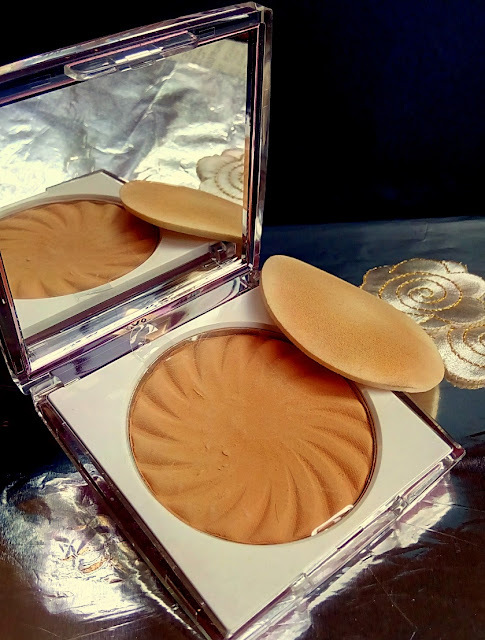 I had got a good match in L’oreal Mat Magique compacts (read Review HERE), but I was looking for something a tad more yellowish and a bit more pigmentation so that I can skip any foundation or BB cream altogether during these summers! 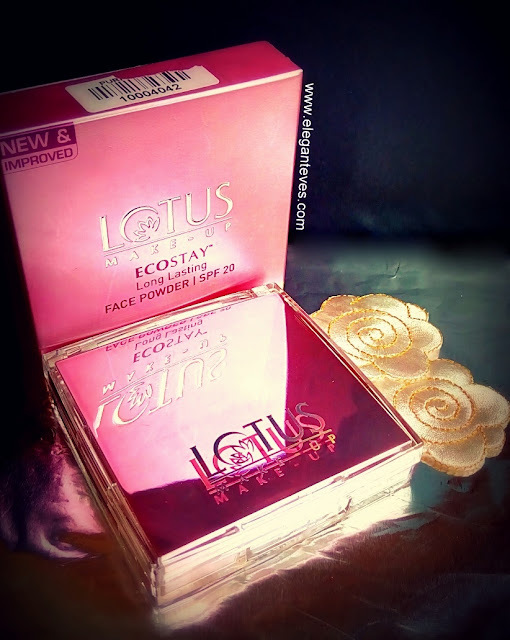 I got a perfect shade match in Lotus Ecostay Long Lasting Face Powder-SPF20. Read on to see if it catered to my other requirements as well! 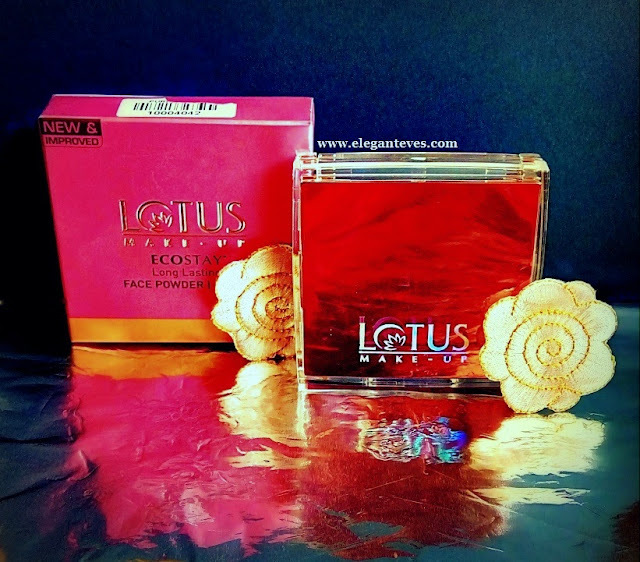 Packaging: A very classy, pink coloured mirror-finish square container which a huge mirror inside. A sponge applicator puff is also included in the compact. My Experience: If I say this is the SOFTEST face powder I have come across so far, it won’t be an exaggeration. My favourite had been Lakme perfect radiance face compact because it wasn’t much chalky, but this one took the level to just another standard! 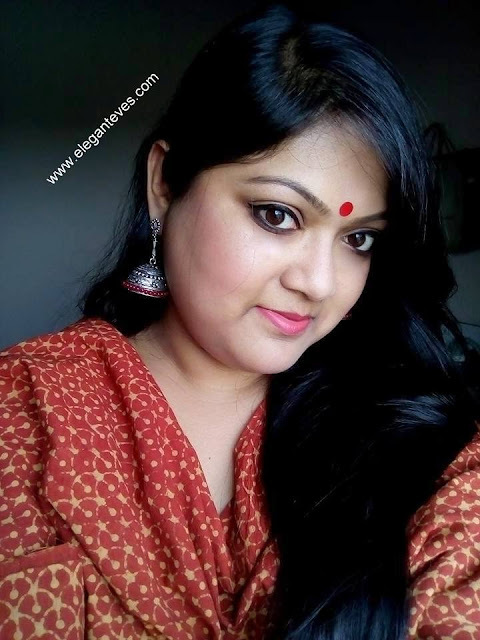 The powder is silky soft and smooth and that’s why I prefer picking it up with a soft powder brush rather than the sponge. The sponge would pick up a lot of the powder and that might lead to wastage. 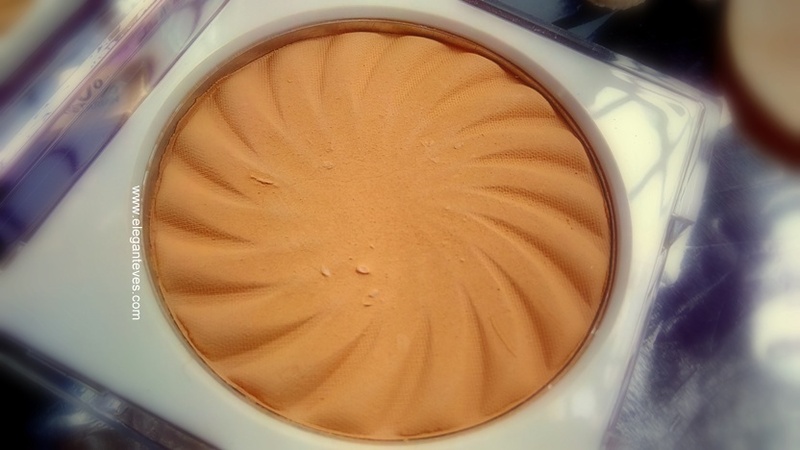 True to its claim, just a light brushing of this compact all over my face covers up any redness or spots and blemishes and if I set my Mac face and Body foundation (Shade C3 and Shade C4) with it, I get a perfect flawless face without the heaviness of a full coverage foundation :D The powder effectively controls oil on my nose and chin for a GOOD nine hours and even after that my face isn’t an oil well. No clogging of pores too. Coming to the shade, Royal Ivory is perfect beige yellow which would suit fair-medium skin women (MAC NC 37-42) perfectly. It blends in like second skin and if used with a brush, you wouldn’t be able to make out there is any “layer” of powder on your face. 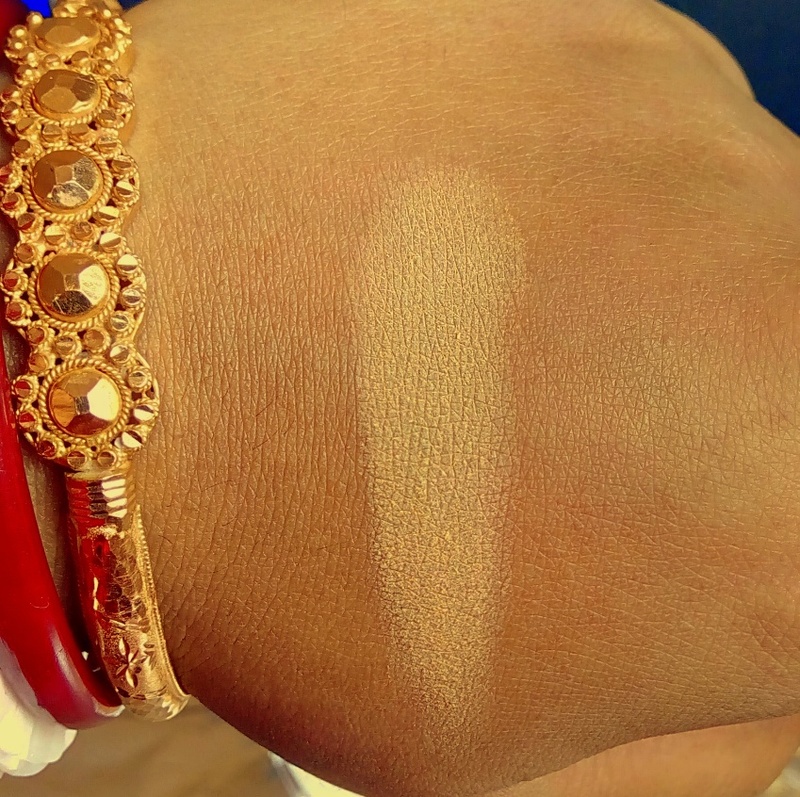 Royal Ivory brightens up the face too. 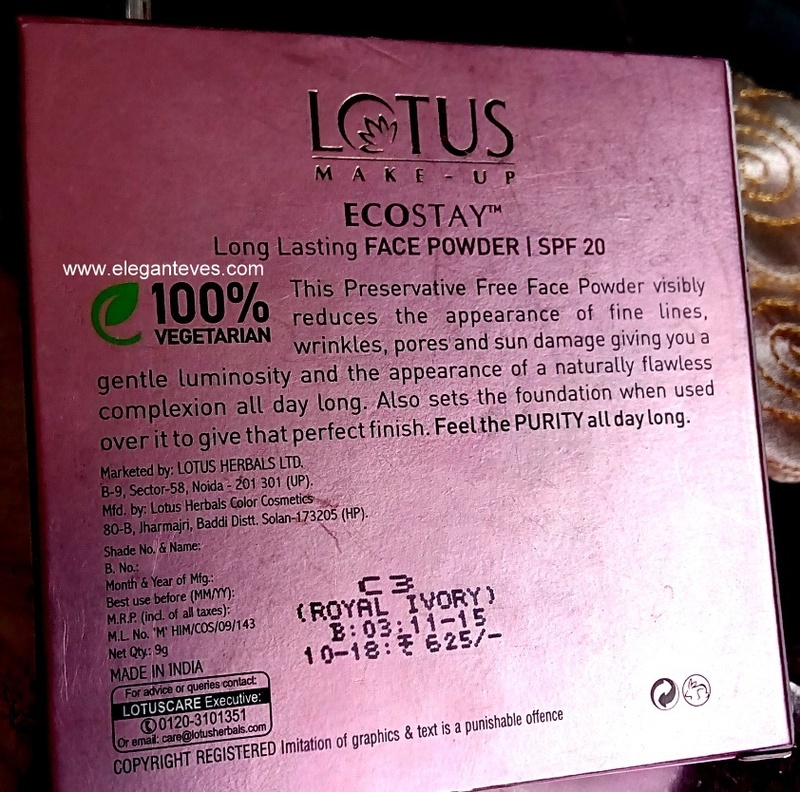 Initially I was very sceptical about shelling out 625/- for a compact powder, but now after all it does I can never go back to another powder! Recommendation: If you want a fuss-free compact which is not chalky, doesn’t give an ashy feel to face, is super soft, perfectly blurs blemishes, stays long, controls oil effectively, sets foundation beautifully and the shades suit Indian warm complexions as well as cooler complexions(PHEW!) then look no further! 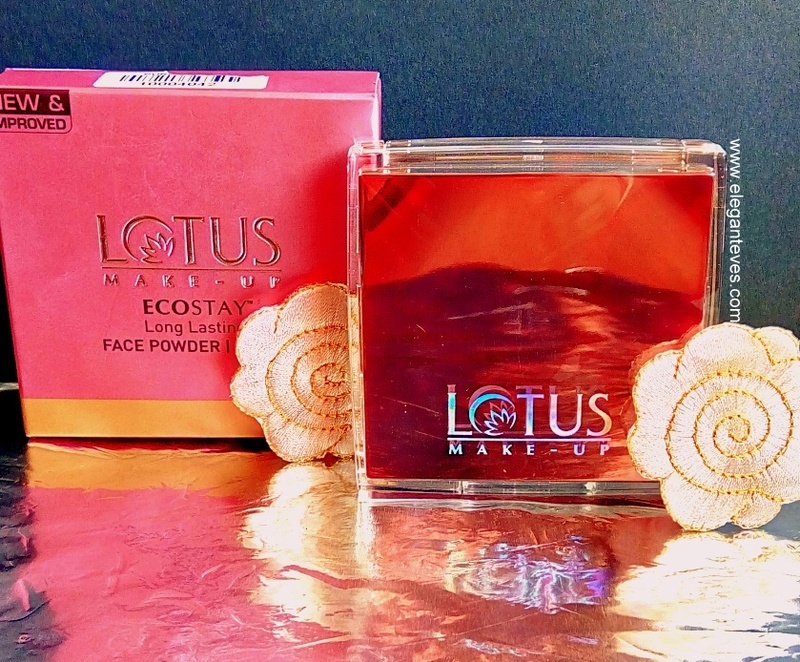 J Give Lotus Ecostay Powder as chance and we are sure you won’t be disappointed. See you with the next review soon lovelies!